We'll help you lead the way! Pathfinder Endeavours Ltd. provides a variety of archaeological services with respect to pipeline construction, harvesting for rights-of-way, and many other activities. 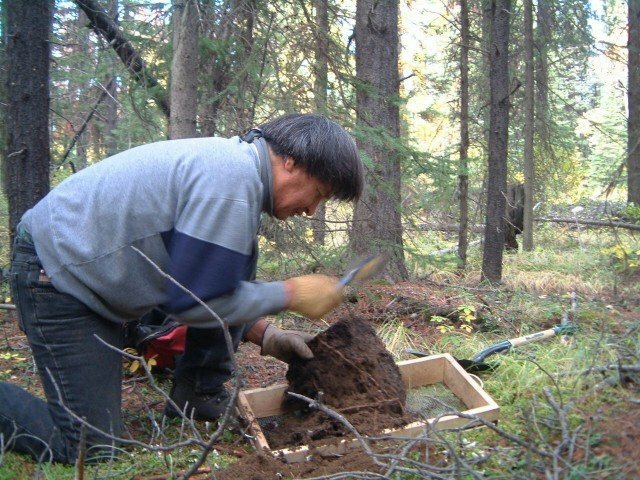 Our Registered Professional Consulting Archaeologist has extensive experience in the BC interior, and has close relationships with other companies as well as First Nations groups. Our services include, but are not limited to Contract Supervision, Culturally Modified Tree Identification, First Nations Training, Impact Assessments, and Overview Assessments. Pathfinder can offer environmental services and provide multiple services to maximize client efficiency. Effective environmental reporting and diligent professional practice are essential to our environmental monitoring program, with every project subject to quality validation and compliance checking. We deliver high quality services while providing environmentally sound projects, and are continuing to expand our services in this area for our clients. Custom programs can be developed to meet project specifications. Pathfinder Endeavours Ltd. has extensive experience collaborating and fostering relationships with First Nations and industry. As a company we have a strong working relationship with several First Nations, and have assisted in creating business opportunities and implementing projects. We are able to provide economic and cultural benefits for all people involved. By developing relationships with First Nations groups, we can offer training and economic opportunities as needed by individual groups. Pathfinder Endeavours Ltd. is able to offer comprehensive mapping services for projects in all Pathfinder service areas. There are complete mapping services from data collection to final map production available, and the maps can be produced to order. Our experienced GIS staff can either work within existing mapping standards for clients, or develop new sets of standards as required. Our mapping products are available in printed and digital formats, and our digital formats can include PDF maps, ESRI shape files, and Microstation files. F# 250-612-1782 Copyright 2018 Pathfinder Endeavours Ltd.